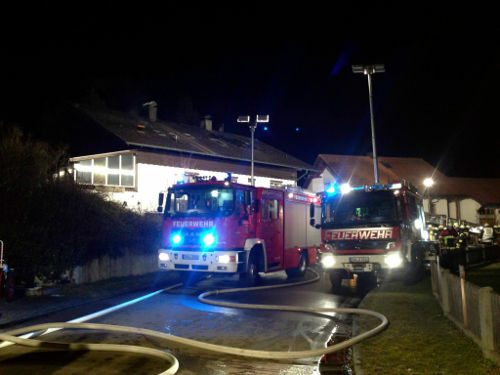 On 12/24/2013 at 07:25 p m the Nittenau Fire Department was called for support at a house fire in Wald, neighbour county of Cham. 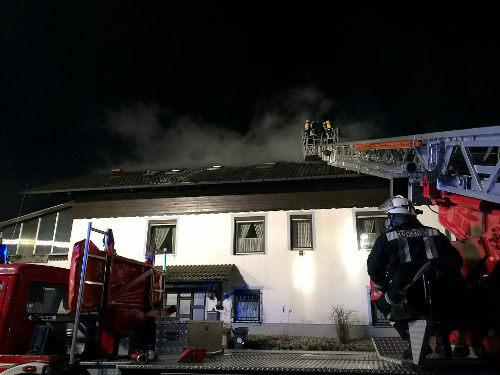 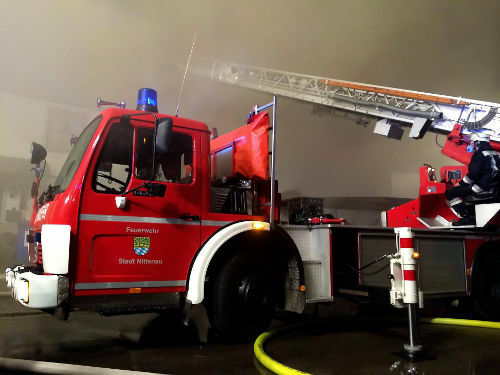 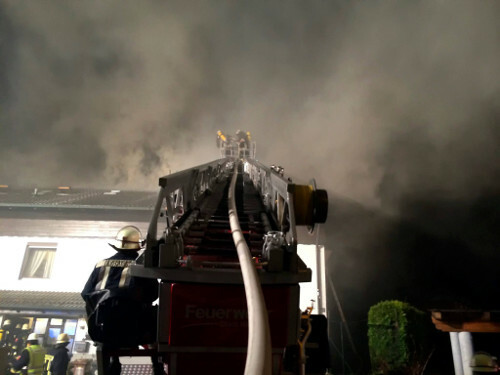 On arrival of the first units from Wald there was already visible fire from the roof truss. 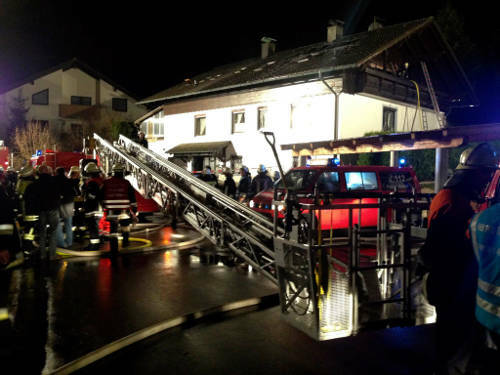 The fire was fought from both the interior and the VFD Nittenau ladder. 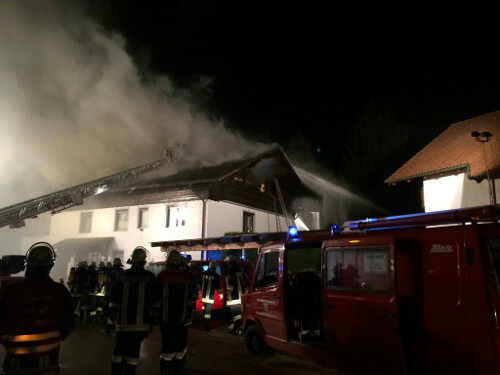 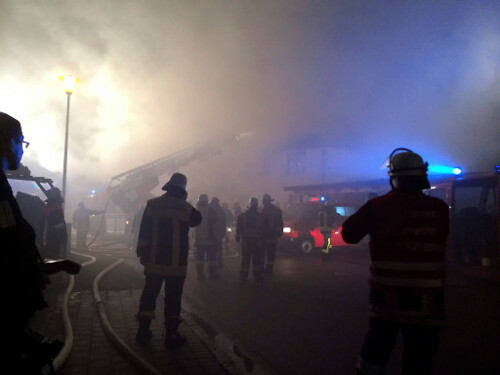 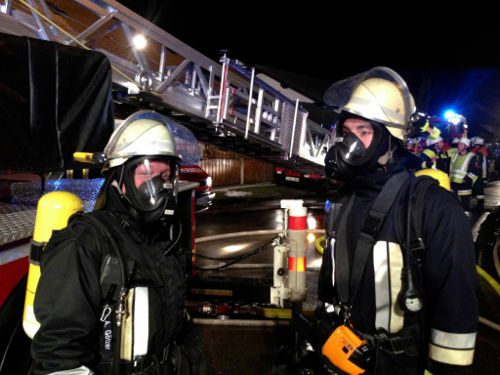 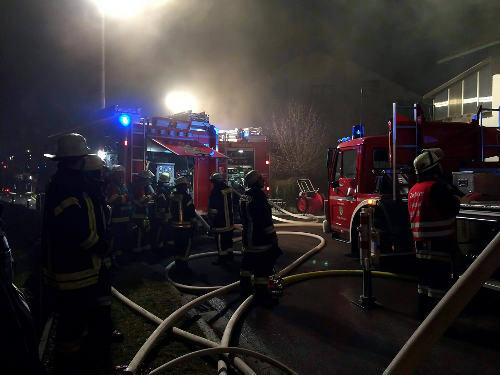 At 08:28 p m there was a further alarm for the Nittenau Fire Department as more SCBA support was necessary. 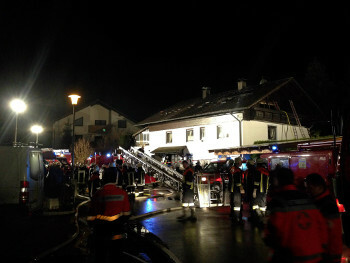 One woman got slightly injured. 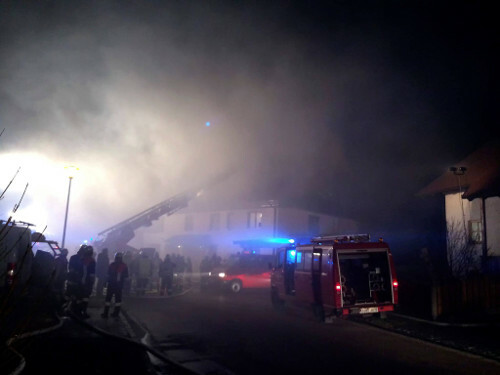 After about two hours the fire was extinguished. The damage is estimated to be 150.000 EUR.